Amber Rose is sharing the details of her past life. It’s one that includes selling crack cocaine. But, she says she just wasn’t cut out for that kind life and stepped back. 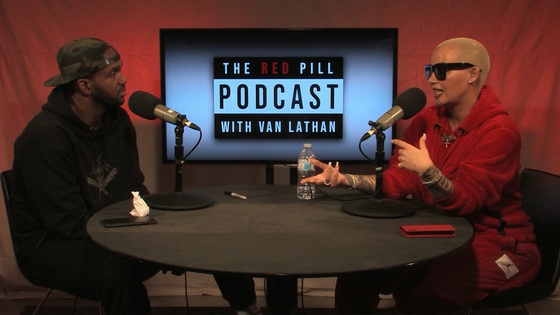 We know this because she recently made the confession – one she’s NEVER discussed openly before – after sitting down for a raw convo about overcoming life struggles with TMZ’s Van Lathan on his Red Pill podcast. It was all about doing the selling crack thing to make ends meet when she was a teenager running around South Philly. It turned out to be a failed effort, and not because she was ever caught. The guys in her neighborhood wouldn’t let her deal. Still, that didn’t throw a damper on Amber from dipping her toe into the drug world. She also made an interesting point … she knows she’ll be judged harshly by some, but points out the double standard … people like Jay-Z, Jeezy, Pusha T and 50 Cent often get glorified for their dealings.